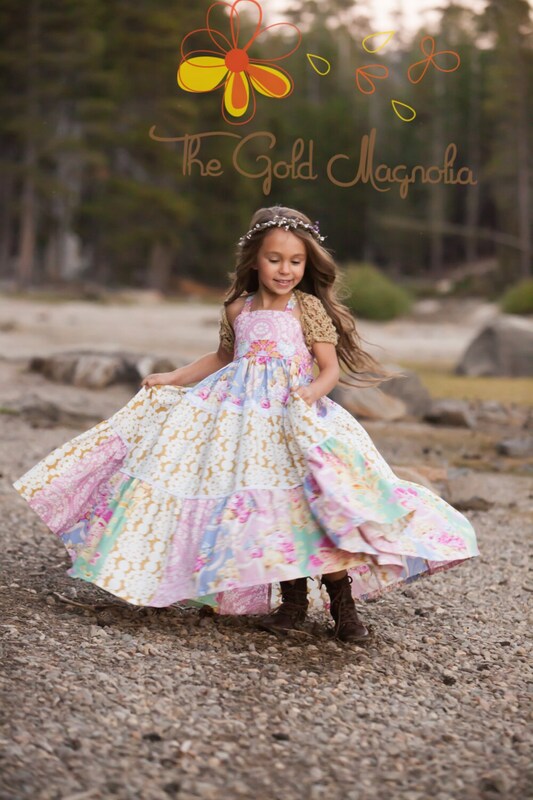 Girl's Maxi Boho Dress ...AMAZING Twirlability! 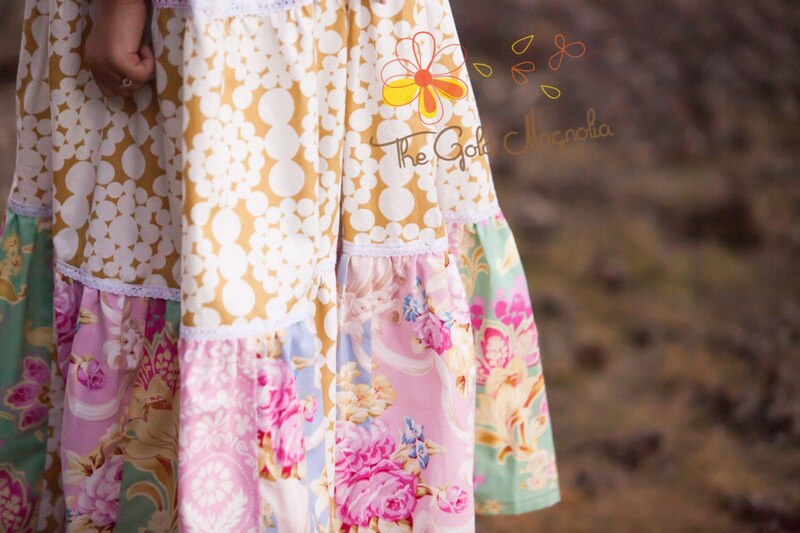 Made from 7 coordinating fabrics. Did I mention the twirl? 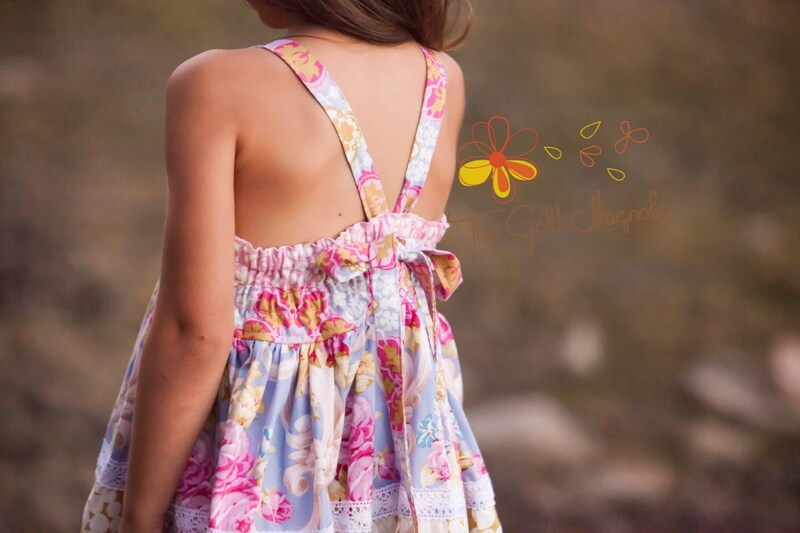 100% cotton with elasticized back and adjustable tie straps. 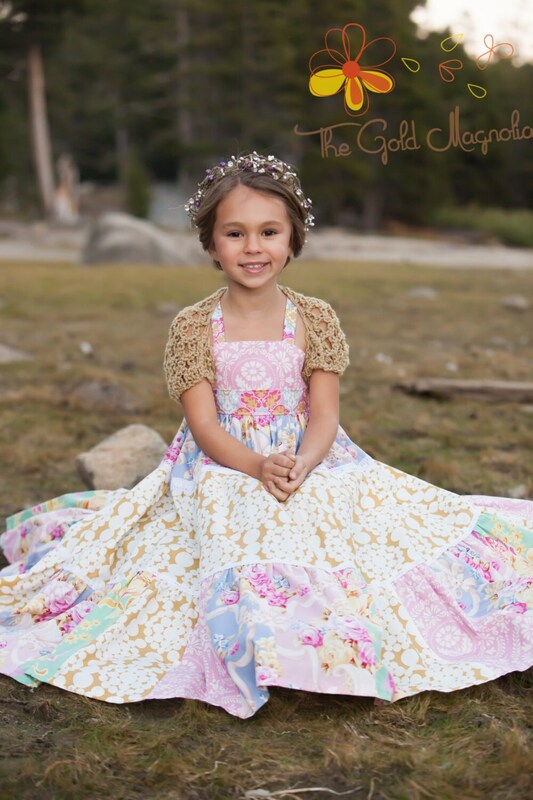 The most beautiful dress any little girl could wear. She keeps twirling until she's dizzy. 😊 Thank you!